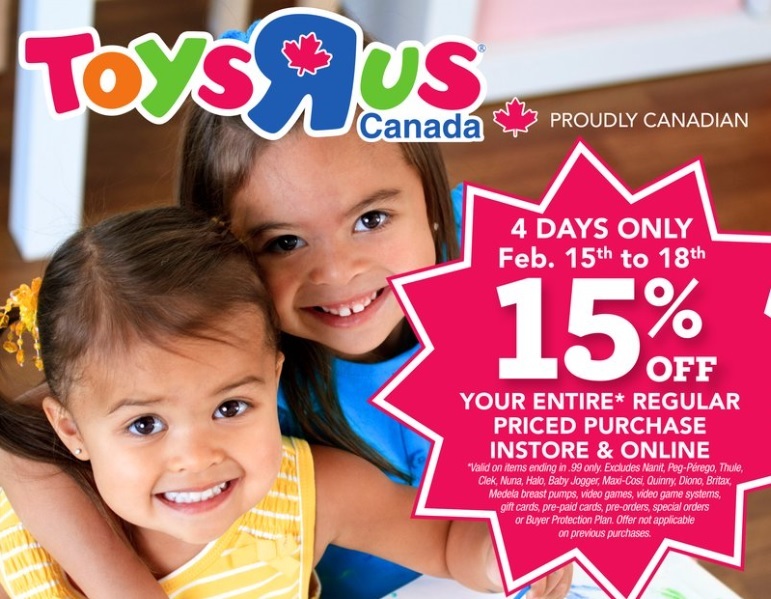 For 4 days only from February 15-18, Toys R Us Canada will be offering 15% off your entire regular priced purchase in-stores and online. Valid on items ending in 0.99 only. Certain items excluded but it looks like LEGO is valid for the 15% off discount.